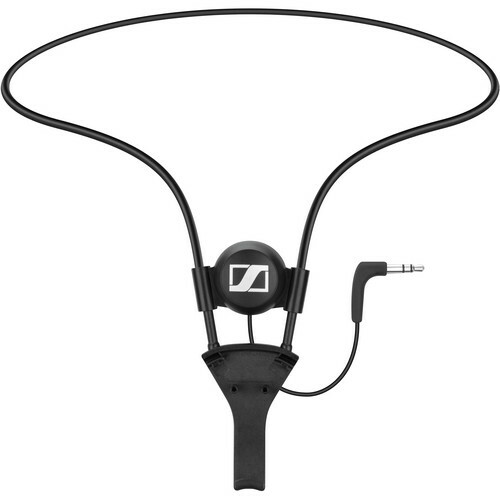 The EZT 3011 Induction Neck Loop for RR 840 S and RI 830 S from Sennheiser is an induction neck loop that allows to you transmit the audio signal from a RR 840 S or RI 830 S receiver to a hearing aid that's equipped with an induction coil. This is ideal for hearing assistance in public or home settings. Note: Receiver and hearing aid sold separately. Box Dimensions (LxWxH) 5.65 x 4.45 x 1.05"
EZT 3011 Induction Neck Loop for RR 840 S and RI 830 S is rated 4.0 out of 5 by 1. Rated 4 out of 5 by CW from works well but volume limited Use to listen to TV. Quick control of volume is helpful in turning down to talk to others in the room. Unless your aids have the capability of separately adjusting mic and telecoil volume it may be difficult to get the volume you need from this system. The closer the loop is to your hearing aid the better it will work. Will this device work with an Opticon OPN1 hearing aid?